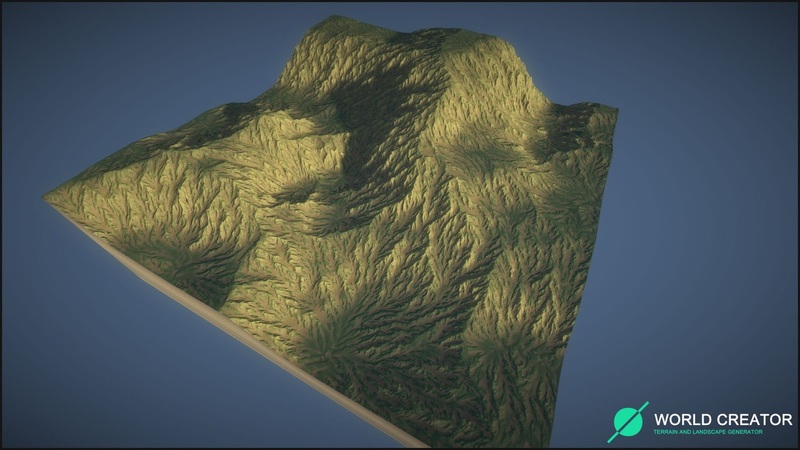 [ #WorldCreator #Environment #GPU #Realtime #Terrain ] The latest version of terrain and landscape generator has just come out with a powerful array of creative tools and improved efficiency, real-time editing in the viewport, fully GPU powered procedural terrain and landscape generation, and more. 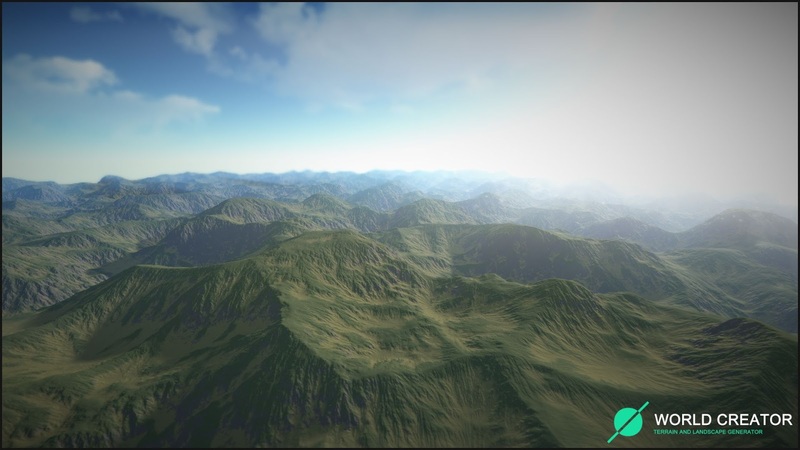 World Creator 2 makes terrain and landscape generation faster and more fun than ever before. • CUSTOM BASE SHAPE TOOL: An Easy and Powerful Way to Create a Custom Shape from Scratch. • IMPORT AND EXPORT TOOLS: Import / Export all Known Image File Formats such as RAW, PNG, TER, TIFF, TGA, JPG, and more. • CURVE EDITOR: Hook into the Generator and get full Control over the Generated Elevation Values. 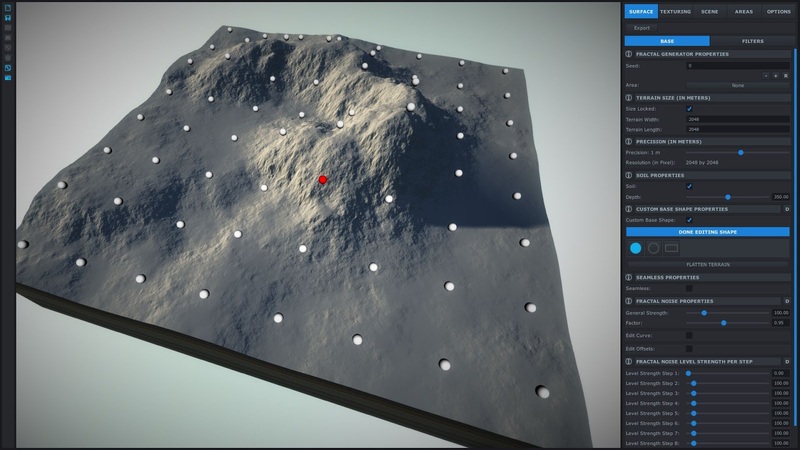 • SYNC TOOL: Move your Terrain Quickly over to Unity and Unreal with this Easy-To-Use Tool. • DESIGN FILTERS: Use Paths and Shapes to Create Roads, Mountains, Rivers and more. • INFINITE WORLDS: Create any Size with any Resolution - the Capacity of your HDD / SSD is the Limit. • REALISTIC RENDERING: Powerful PBR and Global Illumination Renderer with Tons of State-of-the-Art techniques. 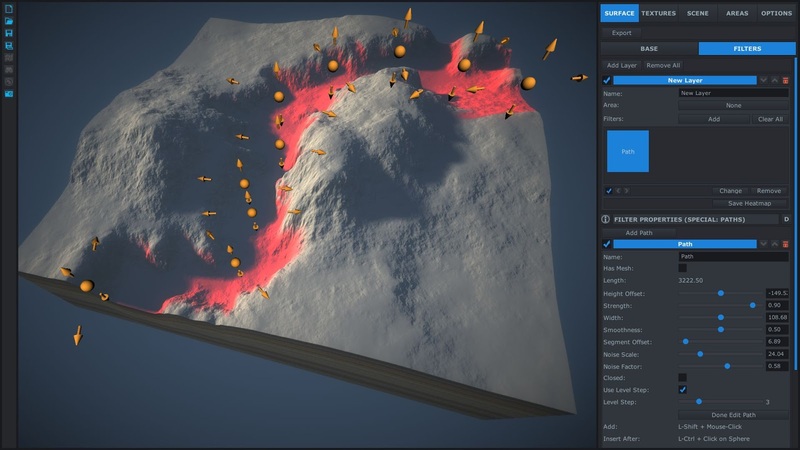 • TERRAIN EDITING Edit your Terrain using Brushes and Tools such as Raise, Lower, Smooth, Level, and more. • MASKS AND BLEND-MAPS: Create and Apply Masks, Blend-Maps and use them During the Entire Generation Process. • SEAMLESS TILEABLE TERRAIN: Create Terrains that Tile Seamless into any Direction to create Infinite Horizons. 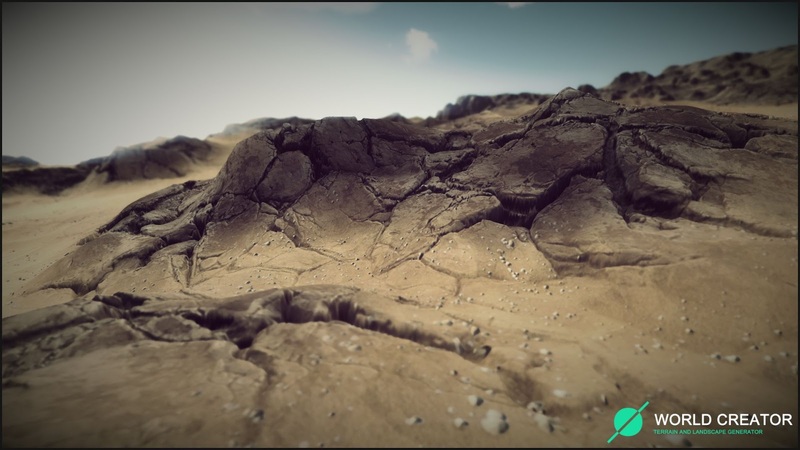 • TEXTURING: Distribute Textures to Procedurally Colorize your Terrain. 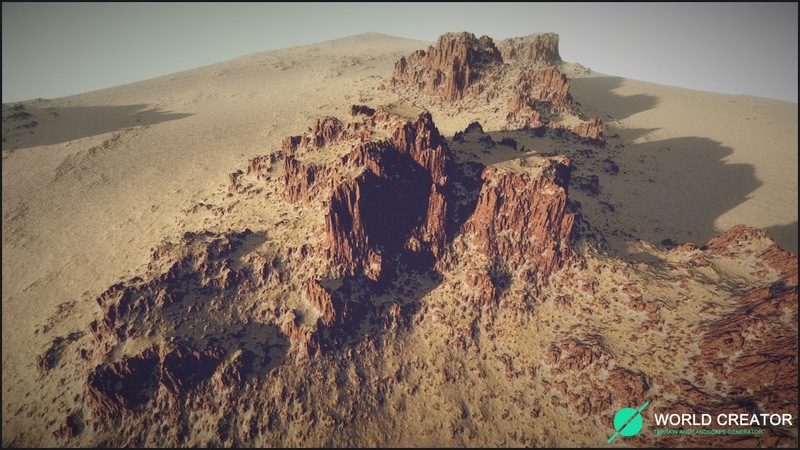 • EROSION FILTERS: Apply Realistic Erosion on your Terrain, such as Deep, Fluvial and more. 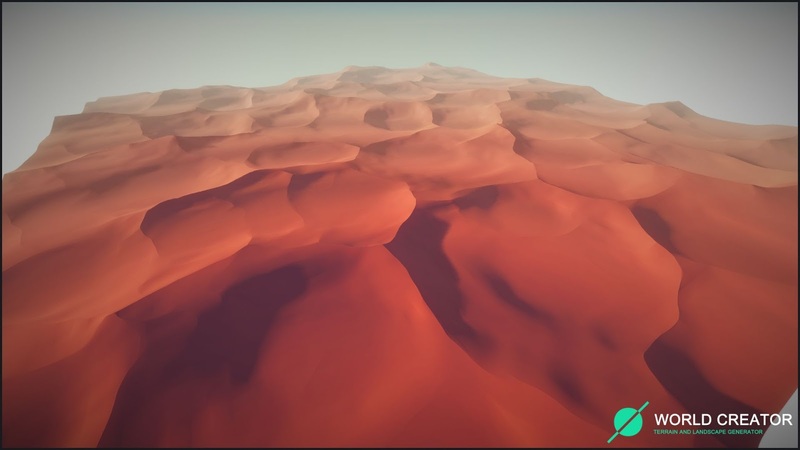 • OBJECT PLACEMENT: Procedurally Populate your Terrain with Trees, Plants, and Other Objects. 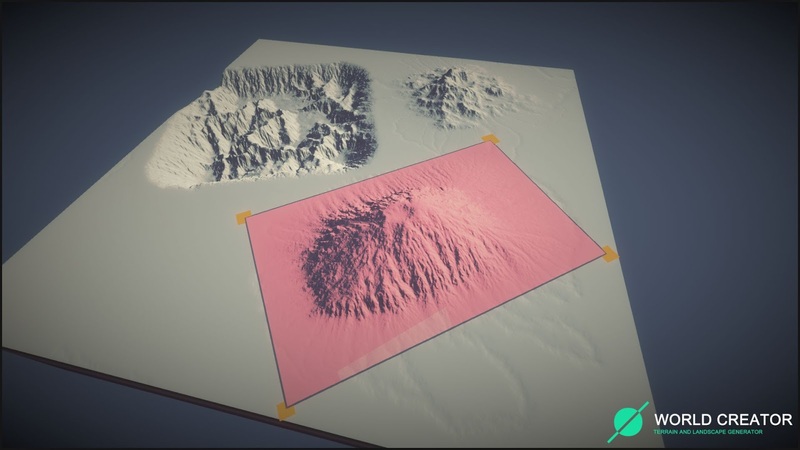 • TERRAIN STAMPING: Import Existing Height-Maps and use them as Stamps - an Intuitive Way of Terrain Generation. The software is now available for Windows and Mac and Linux, the Standard version costs $149 and Professional costs $289. More on World Creator's website.